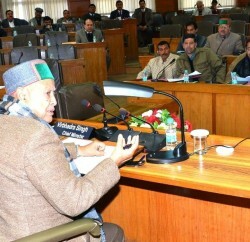 Shillong: Himachal Pradesh Government has raised the demand with the Government of India to provide special provision to the Sate on the analogy of North-East States and Jammu-Kashmir and Sikkim States. Excise and Taxation Minister Prakash Chaudhary raised this demand in a meeting of Empowered Committee of Finance Ministers of the States on Goods and Service Tax which was organized at Shillong recently. The Empowered Committee has assured to consider this demand of the State on priority. 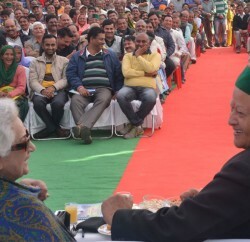 Chaudhary also advocated keeping liquor, petrol and diesel out of the ambit of Goods and Service Tax and making provision of levying service tax alongwith GST on tobacco.